rentals, fishing tackle and even casual dining options including lunch, snacks and beverages. The vast majority of the properties in Dillon CO Real Estate area Dillon Colorado condos. You can find lakefront condos near the town of Dillon or more affordable condos on the other side of Highway 6 in Dillon Valley and in Summit Cove which is located toward Keystone at the junction of Highway 6 and Swan Mountain Road. While Dillon CO Real Estate consists of primarily condos, attractive options for single family homes, duplexes and townhomes are available as well. 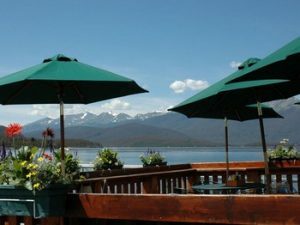 Located between Silverthorne and Keystone, Dillon Colorado is a ideal place to purchase a second home and enjoy the countless activities that Lake Dillon and Summit County have to offer in Summit County Real Estate.